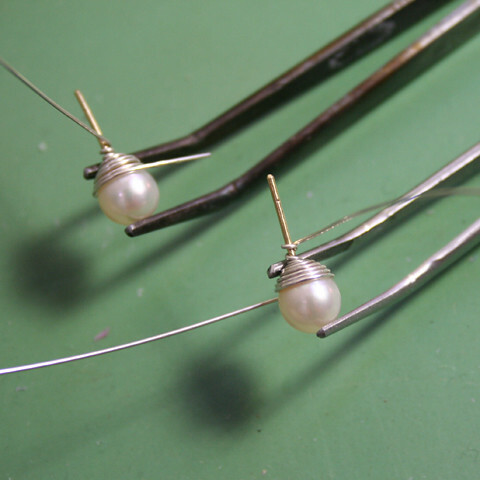 The silver wire cap was spiraled and set on the pearl studs with a dab of jeweler’s glue. This entry was posted in Wedding accessories and tagged #wedding, Custom, Earrings, Stephanie's. Bookmark the permalink.